﻿ Need a new travel bag and daily carry bag? Need a new travel bag and daily carry bag? This is my research notes for a trip that includes a wedding and two months touring India. That may mean wearing a suit on the trip out and internal flights and have wedding presents to carry place to place for a couple of weeks. The airline restrictions means the bag has to be under 50x30x20 cm and under 7kg; particularly for local flights. Many go up to 55cm x 35 x 25 cm and up to 10kg. Many bags with organisation and packing cubes are 2-3kg before we start packing clothes and tech gear. If you need an every day carry tool, such as a Swiss Army knife or SwissCard or even carry knife/fork/spoon they can not be included in the carry on. For two months touring I also want to include needle and thread. I don't particularly want to go sight seeing with all the luggage and so need a protective daily bag. 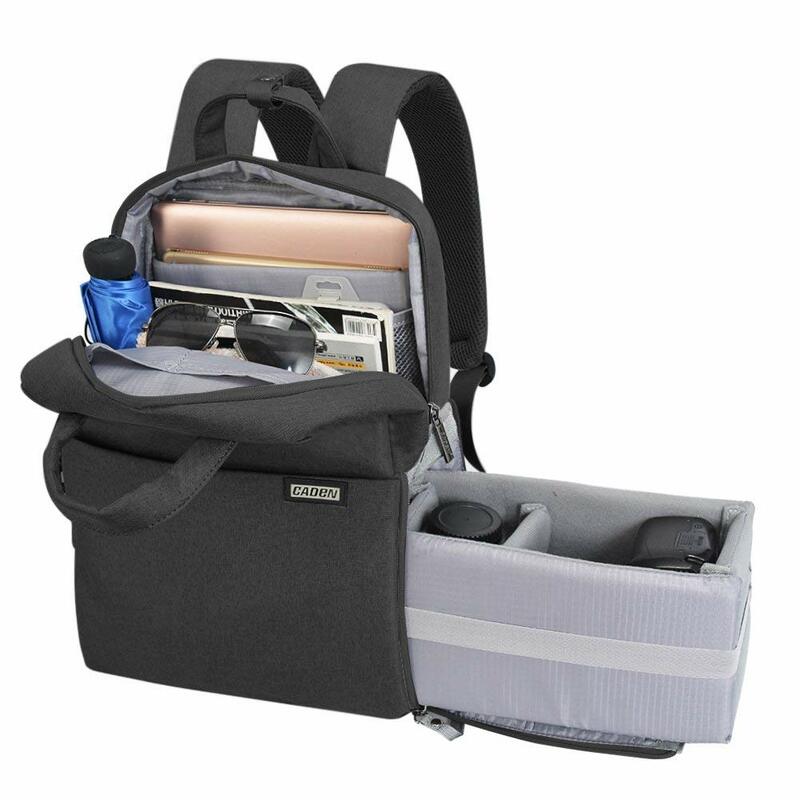 Ideally a daily carry bag should be able to be stored in the main backpack like a large packing cube with all the tech gear ready to pull out at the airport. This may reduce the need for loads of pockets in the main backpack. 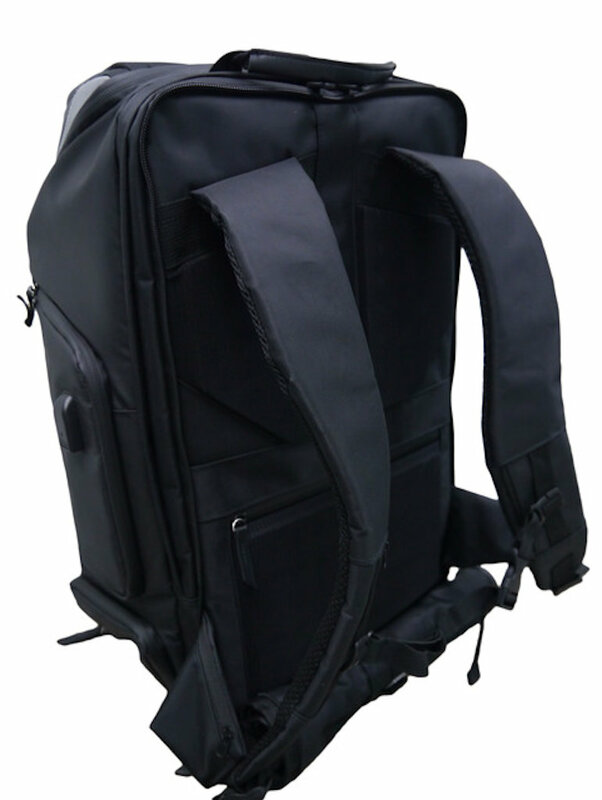 Having the daily carry bag being brief case style enables it to be used for the office and carried as a message bag if wearing the main backpack. I have previously had a large 60 litre backpack with internal steel frame, waist straps and a zip-on small rucksack for carrying a camcorder. I find waist straps useful even for 5kg and needed for hiking with 15-20kg of luggage. Although it might be possible to cram all the things I am thinking of taking into one bag I still have to carry it around and a heavy single bag is going to be harder to manage and handle than two smaller or lighter weight bags even when that means adding another 800-1500 grams for a second bag. Also, to be honest, last time I hauled luggage around I was 43; at 65 my health and physical strength are not as good. 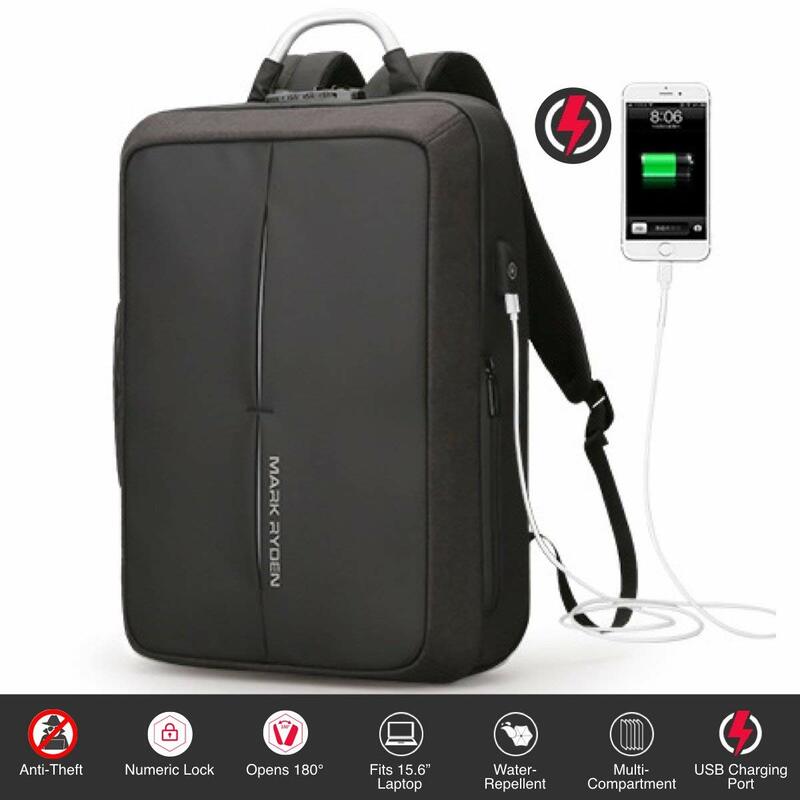 Below are convertible backpacks that made it to my short list after reviewing the many YouTube videos including those from Hack Packer and Chase Reeves (http://bagworks.co/). Also are links to those I purchased and reviewed and the two I eventually picked for my trip. Too much to carry; but I am going to a wedding as well as touring so wearing a suit on flights. 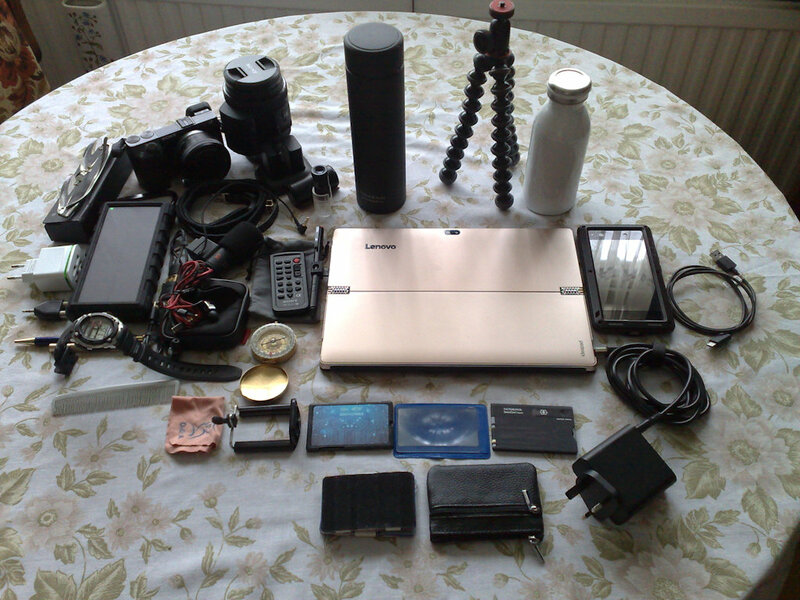 Ignore the extras such as video camera with its charger and batteries, the Compact camera, MeFoto tripod and large torch and no need for both laptop and tablet. All clothes in packing cubes. Contents is about 32 litre and weighs 10.5kg (plus the weight of the bag). The camera is in a small camera bag. Some travel bags are under 1600 grams, add 400grams for a light storable daily backpack and I then have over 12kg in one bag. If privately shipping from the USA to Europe the 4-5 pound packing weight will cost nearly US$70. There is then 20% VAT and the charge to collect that by the carrier (£13). 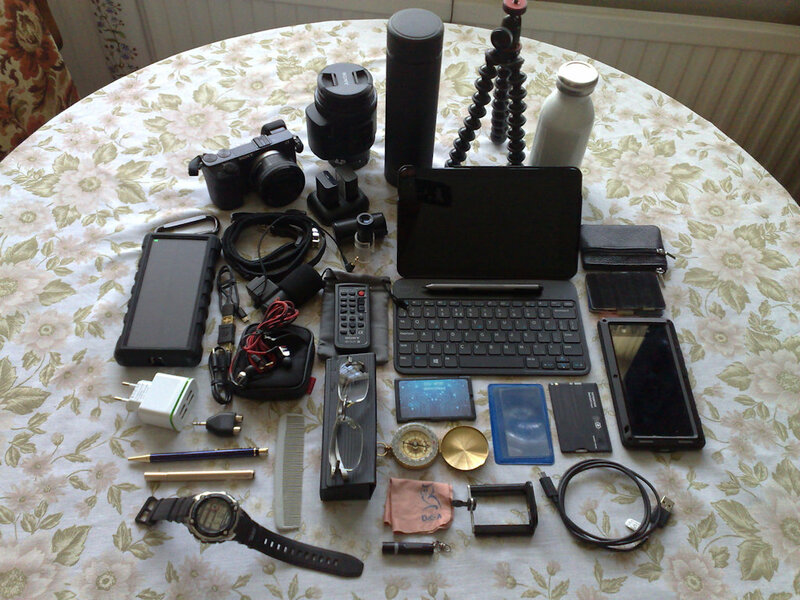 When touring or daily commute to work, some of the things to be carried. 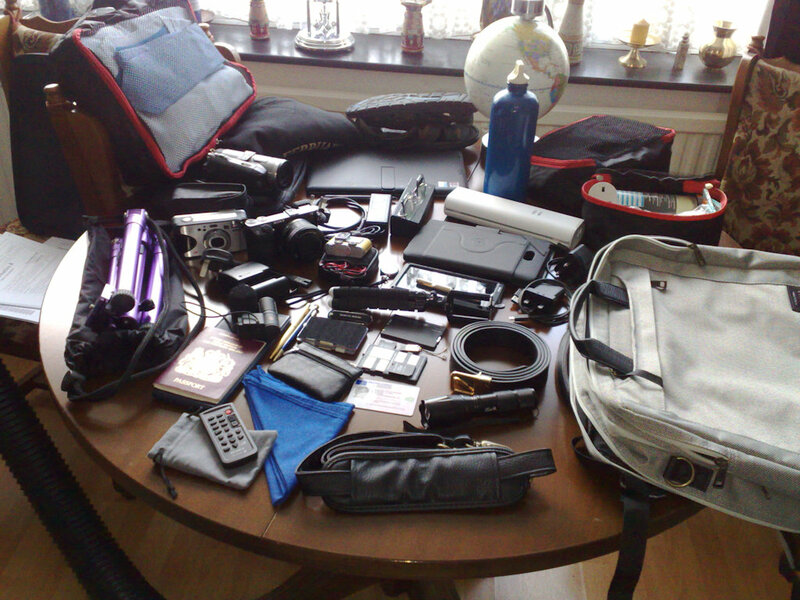 All this fills an old Minolta SLR camera bag, weighs nearly 5kg with an external volume of 13.2 litres. The items themselves amount to about 11 litres (packed into a box with internal space 440x300x90mm). I would like to take a larger MeFoto tripod, but that adds another 1200g. The 12" convertible laptop is only 300g heavier than the 8" tablet, but needs its own power supply and takes up a greater volume. Peak Design Travel Bag 560 330 230-290 2050 30-45 $235 included avail. Dec. Discounted to $79 for remaining stocks. 460 x 310 x 90 mm, 260 grams and if used as daily carry bag needs a camera insert and padded back for a tablet. - nice, inexpensive with lots of packing modules but the straps do not pack away. Vaga can be carried flat inside the Akra. Nice features but the straps do not pack away.